3. 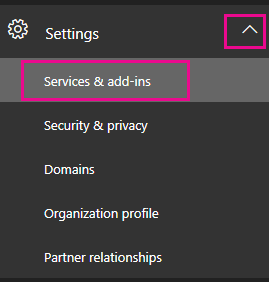 Navigate to Settings -> Services & add-ins. 4. On the Services & add-ins page, click Calendar. 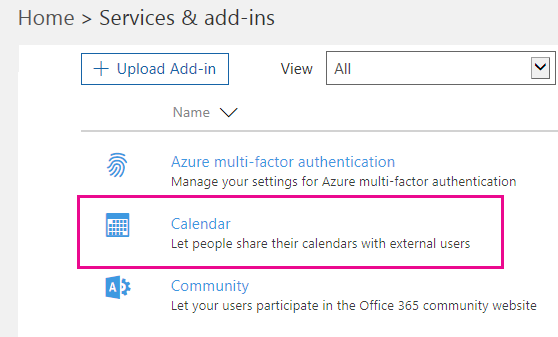 For "Let your users share their calendars with external users who have Office 365 of Exchange", move the slider to On to enable calendar sharing. IMPORTANT NOTE: After enabled, it can take up to 24 hours for the change to take effect.